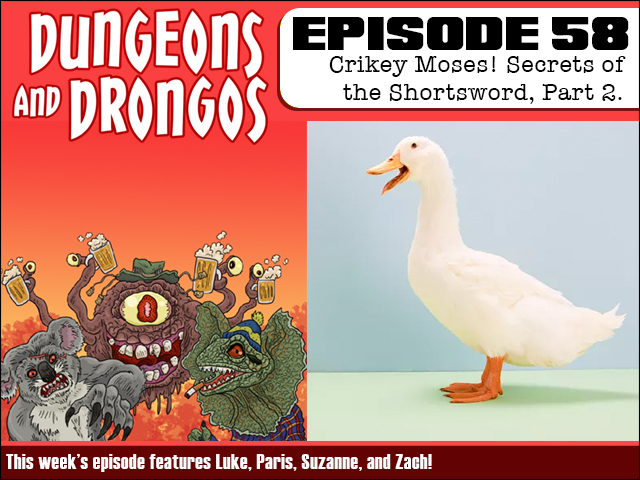 Fruitless Pursuits: Dungeons and Drongos Episode 58: Crikey Moses! Secrets of the Shortsword Part 2! This week concludes the party's delve into the secret origins of everyone's favourite talking shortsword, Crikey Moses! Can Plank outsmart the BFGs? And who is responsible for turning Christian Moss into a sword in the first place? And why does he own a duck? It's Dungeons and Dragons set in Fantasy Australia, ya filthy galahs!